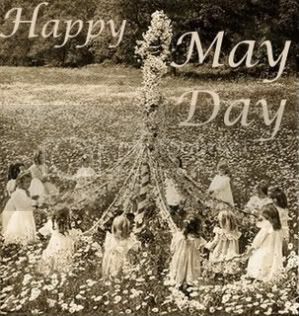 My Mind Wanders...: Happy May Day! I do not know what you do and how good at blogging but have a super nice blog! Thanks Eci, Have a great weekend! Happy May Day ~ that's such an adorable picture. Tuesday Temptation - The Apple?